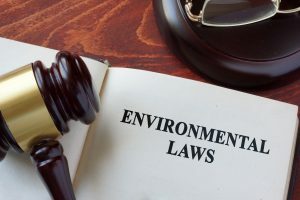 Three Simultaneities–part of the Environmental Protection Law–requires all enterprises and institutions to design, construct and put to use the pollution prevention and control installations simultaneously with the main body of every new, renewed or extended construction/development projects. The concept of ‘Three Simultaneities’ for construction projects was first raised in June 1972. The initial purpose of the ‘Three Simultaneities’ was to prevent the emergence of new environmental pollution sources, but at that time China was in the start-up stage of its environmental protection, Chinese economy was somewhat unstable, and the environmental management and supervision were weak and ineffective. In 1979 the ‘Three simultaneities’ system was legally confirmed in the ‘Environmental Protection Law of the People’s Republic of China’. To ensure the effective implementation of the ‘Three Simultaneities’ system, China set a series of administrative orders and regulations and extended the ‘Three Simultaneities’ from the field of environmental protection to the field of labor protection, occupational health and safety, etc. ‘Three Simultaneities’ for pollution prevention and control installations: According to the ‘Environmental Protection Law’, article 41: The pollution prevention and control installations included in a construction project shall be designed, constructed and put to use simultaneously with the body of the construction project. Such installations shall satisfy the requirements of the approved environmental impact assessment document, and may not be dismantled or left unused without permission. ‘Three Simultaneities’ for labor safety and sanitation facilities: According to the ‘Labor Law’, article 53: Labor safety and sanitation facilities shall meet State-fixed standards. The labor safety and sanitation facilities of new projects and projects of renovation and expansion shall be designed, constructed and put into operation and use at the same time as the main project. ‘Three Simultaneities’ for safety facilities: According to the ‘Work Safety Law’, article 28: The safety facilities in a new construction, reconstruction, or expansion project of a business entity must be designed, constructed, and put to use in production and other operations simultaneously with the body of the project. Input for the safety facilities shall be included in the budget estimate of the construction project. ‘Three Simultaneities’ for protective facilities against occupational diseases: According to the ‘Law on the Prevention and Control of Occupational Diseases’, article 18: The expenses necessary for the protective facilities against occupational diseases of a construction project shall be included in the project budget of the construction project, and such facilities shall be designed, constructed, and put to use in production and other operations at the same time as the main body of the project. During the construction phase: Prior to the commencement of the official production and operation, an acceptance check is mandatory for the ‘Three Simultaneities’ facilities to ensure they meet the corresponding requirements. During the official production and operation: Related administrative department will randomly sample a certain percentage of the organizations to check the operation situations of facilities associated with the ‘Three Simultaneities’ and carry out on-site verification. Penalty: Organizations violating the ‘Three Simultaneities’ related requirements can be ordered to cease construction, operation and usage of related facilities. A fine could be imposed and if the circumstances are serious, a business can be shut down.